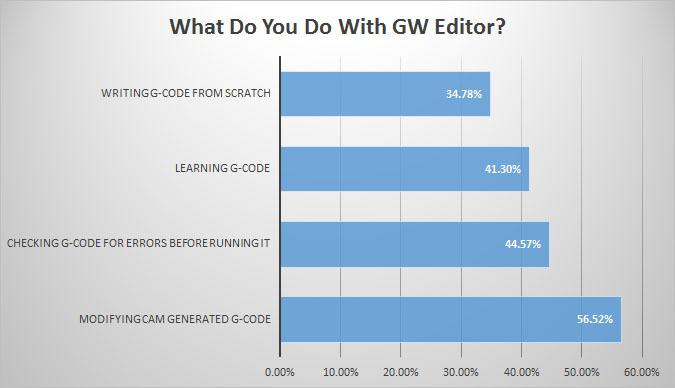 "The program’s (GW Editor) working great. It took an hour off my set up time the first day I used it." "I use it for verifying my CAM output. It's saved me more than once from scrap or crashes. I've also learned a lot more about gcode." "It's a great tool for the toolbox at a reasonable price." "Quick and easy to setup and use. Easy to configure for different machine tools."